How to hide CANCEL button while using domodalcomponent function. Forum » Forum / Help » How to hide CANCEL button while using domodalcomponent function. we are using domodalcomponent to navigate to details page. 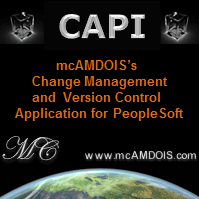 when we goto other page we are seeing a CANCEL button created by peoplesoft. can anyone tell me how to hide this button. Re: How to hide CANCEL button while using domodalcomponent function. I will appreciate if you can give me any sample code i can start with. This link did not work, can you all leave. Sorry I meant can you all repost the link by any chance.